A spoon – not an oar. There was a time a couple of years ago when I was constantly on eBay to check out what the different sellers had to offer when it came to ‘rowing merchandise’. 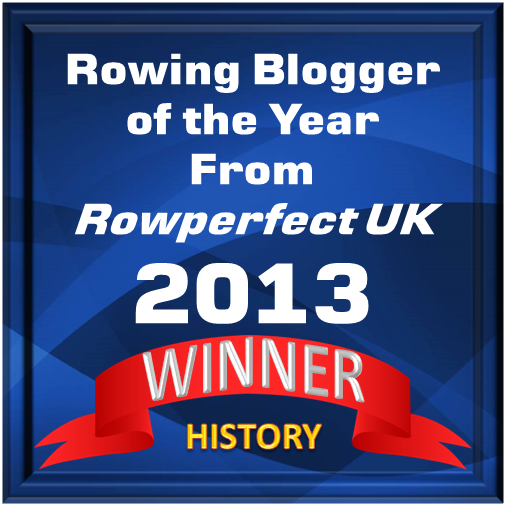 Now and then, I was lucky to win a little item, but I can hardly say that what I’ve today is a fine assortment of old rowing stuff: no grand trophies, pots, medals, prints, photographs, etc – I believe, I’m far away from the rowing memorabilia collections of my fellow HTBS-ians, Denieffe, Dodd, Koch, Mallory, O’Chee and Weil. Nowadays, I’m concentrating my small purchases to rowing books and have dropped eBay almost entirely. However, the other week a deal popped up that I couldn’t resist – and it wasn’t on eBay. It began with an e-mail from a fellow by the named of Hank on the American west coast. Hank wrote briefly that he was in a possession of ‘an interesting spoon.’ Now, it happens quite often that I, as the editor of HTBS, receive e-mails from our readers or others, who have come across HTBS by doing a Google search, and they are seeking help to identify an artefact or get information about a rower, a club or something else rowing-related. My HTBS brothers- and one sister-in-arms and I are all too willing to help and to spread the good words of the sport that we love. I replied to Hank saying that it sounded very interesting and asked if he’d any information about it, maybe its background and how he acquired it. 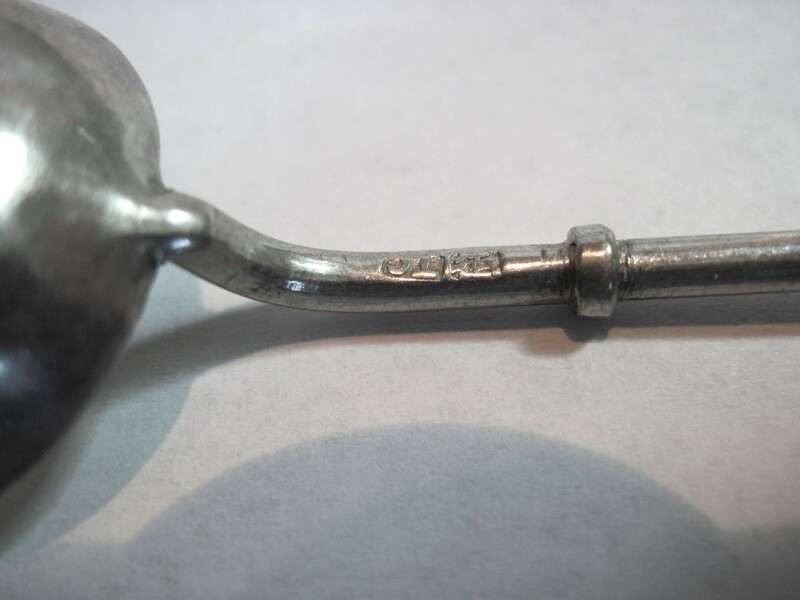 Hank wrote back that he’s an estate buyer and the spoon had been in a large lot that he bought several years ago. He’d done some researching and Googling and came across something on HTBS from July 2014, where Singapore Rowing Club was mentioned; the old club existed from 1879 into the early 20th century. S.R.C. – old Singapore Rowing Club. 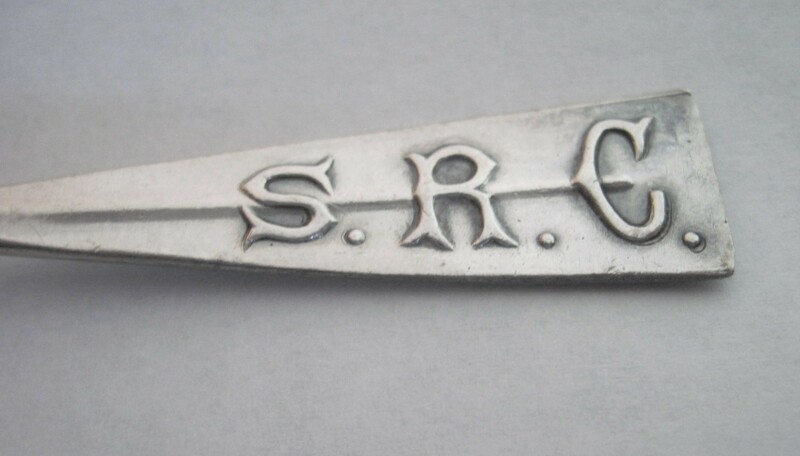 Hank sent along some photographs of the spoon where one can see the initials ‘S.R.C.’. After I had viewed the images of the spoon, I sent Hank an e-mail saying – tongue-in-cheek – that, at first, I didn’t know what to make of his ‘spoon’. Was he talking about what a few rowers sometimes call a blade/oar or was he actually referring to a utensil with which one eats. Hank told me that he got a kick out of that. The collar of the oar. Suddenly, I realised, that ‘someone’ was me. I immediately wrote back to Hank saying that I could give the spoon a good ‘rowing home’. We agreed on a fair price, and it’s now in the ‘Buckhorn Rowing Collection’, which is still not a large collection, but in it there’s now also a spoon. I’ve no intention to use it for dining. Well done Goran – a great find. However, Tom Weil’s collection eclipses all others put together! How can I find out more about the Singapore Rowing Club. This is of great interest to me. I lived in Singapore for nearly eight years. I love history. I love rowing. Any resources/citations welcome. 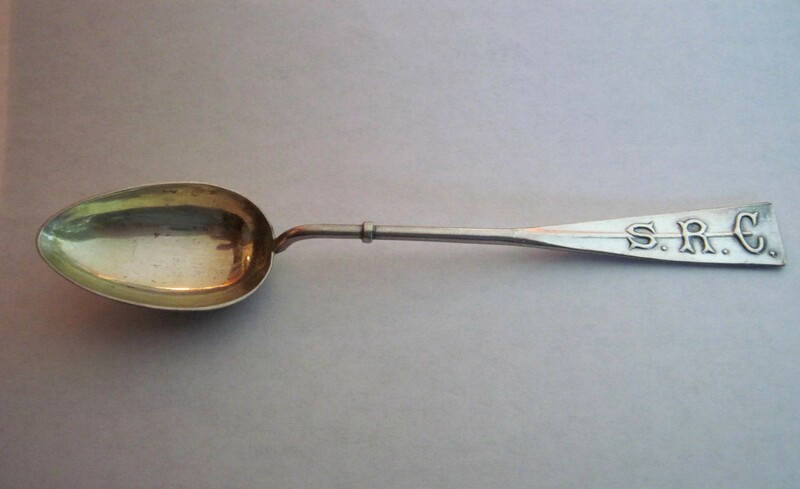 I have one of these SRC spoons also. I don’t know its provenance. Someone gave it to me when I was heavily into rowing and they didn’t know it’s origin either. Adrian, good to hear from you. It has now been established that these spoons are from Shanghai RC. After I posted this article, a few of the other writers for HTBS did some deeper research. You will find their writing under the tag line “Shanghai RC” if you are interested in more information about this club.